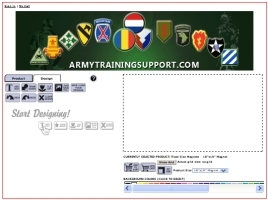 To provide trained Information Technology (IT) soldiers and civilians of the Army and the joint community. The resident training is done through classroom instruction, hands-on practical exercises, and interaction with simulation equipment for critical IT skills associated with networking concepts and configurations, network management, systems administration and security, and information dissemination. School of Information Technology (SIT) conducts both resident and non-resident functional courses in support of Information Assurance (IA), Communications Security (COMSEC), Defense Message Systems (DMS), and Joint Networks. SIT also trains the Military Occupational Specialty (MOS) 25B Information Systems Operator-Analyst noncommissioned officers (NCOs) basic and advanced levels. These AOCs include Functional Area (FA) Officers 53A and 24A; AOC 25A; and, 250N, 251A, and 254A Signal Corps Officers. Many of the IT students are DoD Civilians as well as Allied Students who attend under the International Military Student Program conducted by the Department of State.